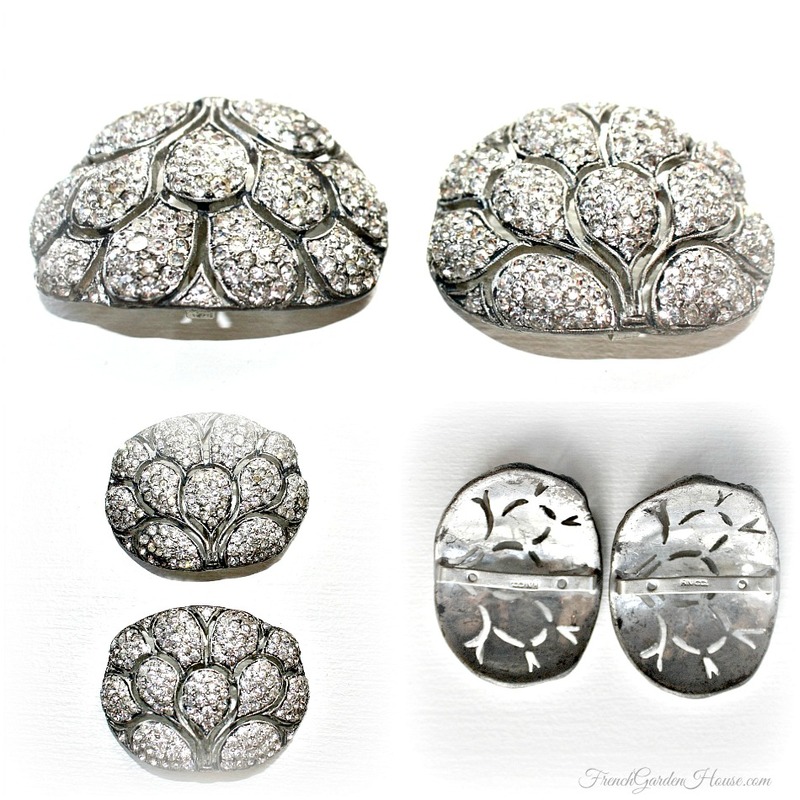 These stunning Vintage Shoe Buckles are a rare treat to find. 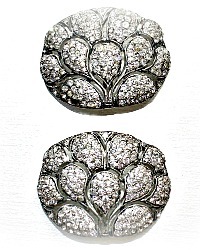 In the late 1920's, hemlines rose, and elegant rhinestone encrusted shoe buckles were very trendy with the Hollywood "in crowd". Starlets were adorned with rhinestones and sparkling gems from head to toe, where they could be seen and admired by all. 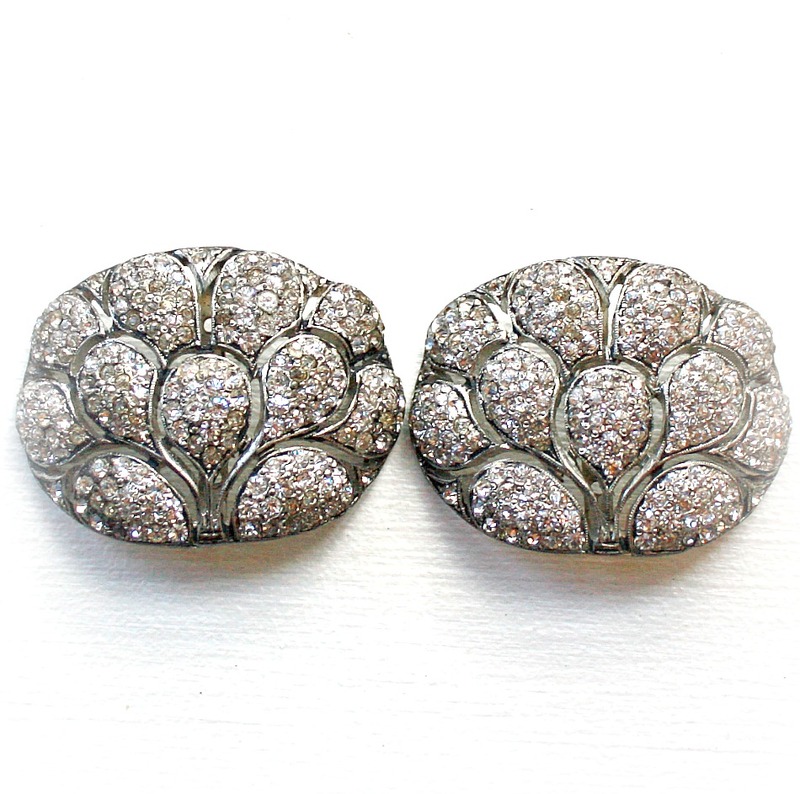 Sometimes called "Hollywood" Buckles, sparkling clips like this were much beloved, collectible gifts for a special young lady. Referenced in the book "Gems of Costume Jewelry" by Gabriele Greindl, these clips are stunning. 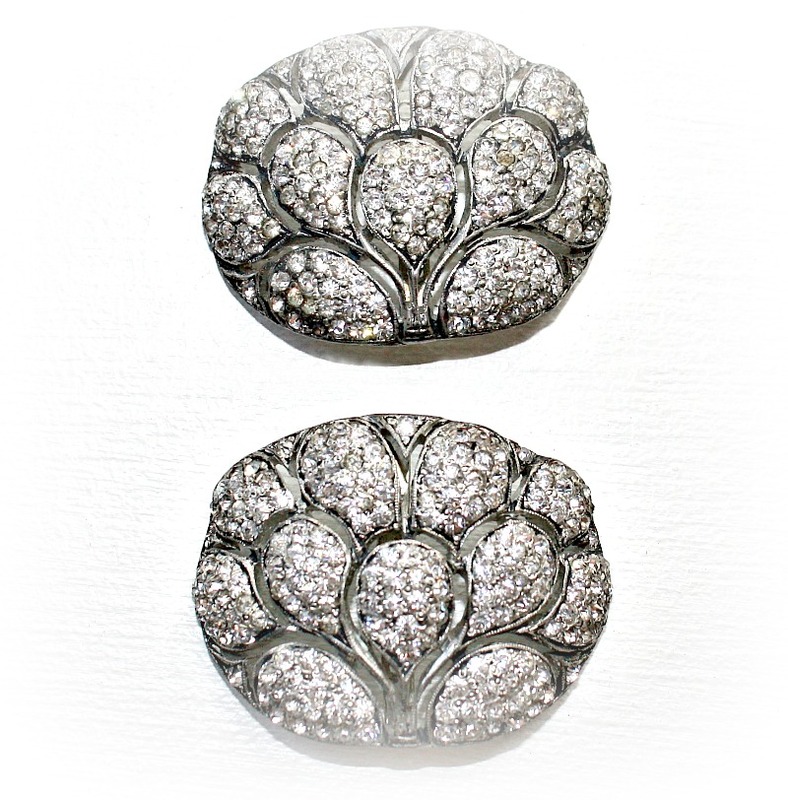 They are remniscent of peacock plumes, set with many cup set clear chaton rhinestones in a domed rhodium plated metal. Rhodium is a precious metal that is in the family of platinum, it guards against scratches. Perfect to attach to a pair of your favorite evening slippers, or to display in your boudoir with your collection. Perhaps you are creative and will refashion these brilliant sparklers into an elegant necklace and bracelet? I was thrilled to find these, in wonderful condition, a very few of the stones have aged, back is signed RN Co. Each measures 1~7/8" x 1~1/2".